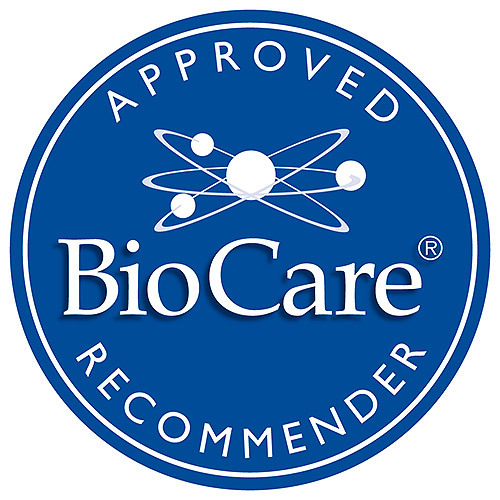 BioCare AD206 contains specific nutrients and plant extracts to help support adrenal function during stressful periods. It can also help to reduce feelings of tiredness and fatigue. It contains a unique blend of the herbs licorice, ginseng and gotu kola alongside adrenal / energy supportive nutrients such as vitamins B3, B6, C, as well as high amounts of pantothenic acid. An excellent vegan alternative to glandulars. Pantothenic Acid (as Calcium Pantothenate), Vitamin C (as Ascorbic Acid), Siberian Ginseng (Eleutherococcus senticosus), Capsule (hypromellose & Water), Licorice Root (Glycyrrhizia glabra), Magnesium Gluconate, Gota Kola 4:1 Extract (Centella asiatica), Vitamin B6 (as Pyridoxine Hydrochloride), Apple Extract (Pyrus malus), Niacin (as Niacinamide), Zinc Citrate, Anti caking Agent (Vegetable Magnesium Stearate), Manganese Gluconate, Chromium Picolinate. 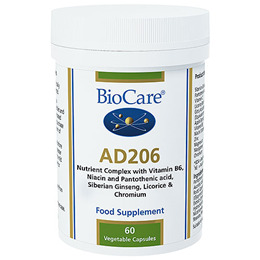 Below are reviews of AD206 - Adrenal Support Complex - 60 Vegicaps by bodykind customers. If you have tried this product we'd love to hear what you think so please leave a review. This product is very helpful for my body.I feel more calm and stronger. Recommended by my naturopath and really helped my energy in the morning and afternoons, also stopped me reaching for sugary snacks in the afternoon. Recommended by my nutritionist. Helps with stress and as a sleeping aid with no side effects. This product is really useful especially when taken in the morning to give you a lift that coffee usually would. 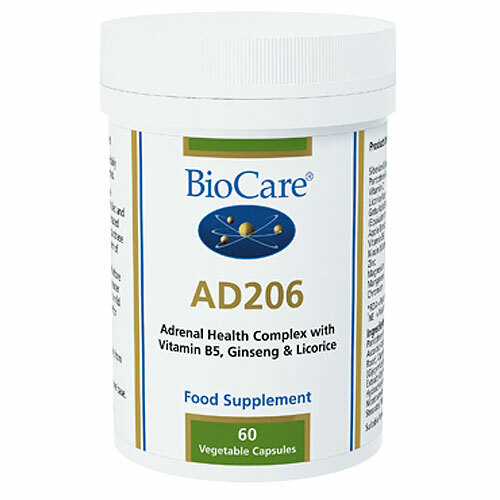 BioCare AD206 contains specific nutrients and plant extracts to help support adrenal function during stressful periods.